This Ceramide-rich treatment cream with NouriCel-MD® works to rapidly restore skin's moisture while soothing and hydrating post-procedure, dry and compromised skin. Rapidly restores skin's moisture balance. Helps hydrate and calm skin. Purified Water, Cetyl Ethylhexanoate, Cetearyl Alcohol, Hydroxypropyl Bispalmitamide MEA (Ceramide), Human Fibroblast Conditioned Media, Dimethicone, Olea Europaea (Olive) Fruit Oil, Glycine Soja (Soybean) Oil, Cetearyl Glucoside, Palmitoyl Oligopeptide, Palmitoyl Tetrapepide-7, Tetrahexyldecyl Ascorbate, Avena Sativa (Oat) Kernel Extract, Glycine Soja (Soybean) Sterols, Retinyl Palmitate, Tocopheryl Acetate, Sodium Carboxymethyl Beta-Glucan, Squalane, Allantoin, Bisabolol, Panthenol, Sodium Hyaluronate, Glycerin, Xanthan Gum, Glyceryl Stearate, PEG-100 Stearate, Isoceteth-20, Polysorbate 20, Butylene Glycol, Carbomer, Phenoxyethanol, Methylparaben, Propylparaben, Butylparaben, Isobutylparaben, Ethylparaben, Tetrasodium EDTA, Ethoxydiglycol. I really like this cream. 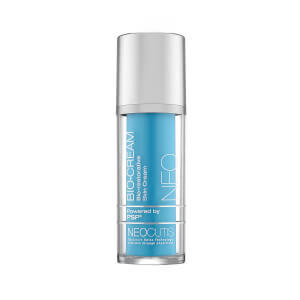 I use it after the Skinmedica serum and it feels very smooth, not oily and not dry. Just right. I like the ingredients which include the growth factors. I didn't have any procedures done and I know this is recommended after procedures but I like it for its moisturizing properties. Recently had a series of facials at the dermatologists office and the aestician used TNS Ceremide Treatment as part of her program. She recommended very highly that I use it at home. Purchased it through skincare and am more than pleased. Definitely necessary in the hydration process. Ladies-it works. A must have. 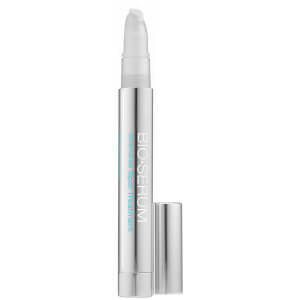 Very creamy-absords quickly and no greasy feel. This seems to help with healing and redness after a Palovia laser treatment before bedtime. Unlike the TNS serum, it doesn't smell like dirty socks, while still having some of the TNS ingredient. And I like that it also has peptides in it. Seems expensive for just 2 ounces though, and it is excluded from discounts (and their "sale" price of $4 off ain't a deal). Switched to this after not wanting to keep shelling out 150 bucks for Neocutis' biocream, which is like an analogue of the TNS Serum with moisturizer. I stumbled upon this TNS ceramide moisturizer and I love it. It goes on silky smooth and really soothes redness and irritation while providing moisture all day long and at night. 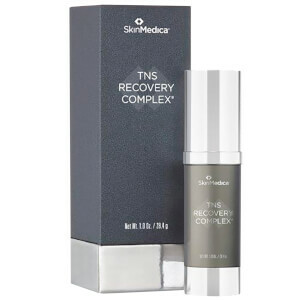 I use both morning and night.Since this does contain a fair amount of TNS growth factors it's an excellent alternative if you can't afford the serum and a moisturizer.I use this with my Retin-A prescription at night and they work great together. So far this actually seems to be doing a better job than my neocutis on healing redness and irritation.I probably would not recommend this if you have very oily skin since it is fairly heavy. But the funny thing its not too heavy for day use as in it doesn't make your face shine or look oily.This really is a great buy for what you get. I bought this cream at the suggestion of my Dr. after getting Fraxel. (so far only 1 treatment) It really soothed my skin, did not over dry and I believe it really did help the healing time.